Some of the top fighters in the world have been featured in the Ironheart Crown! Miguel Torres was the Ironheart Crown's biggest draw for years, headlining on most of our Hammond events. Since leaving the Ironheart Crown, Miguel has gone on to become the WEC world bantamweight champion. He is widely regarded as the top 135 pound fighter in the world and was recently ranked by Yahoo Sports and by Sherdog as the #10 pound-for-pound fighter in the world. Jeff Curran fought for the Ironheart Crown on several occasions, always putting on an incredible show. As one of the most well-rounded fighters in the Chicago area, Jeff always displayed a clinic of technique at all ranges in every match. 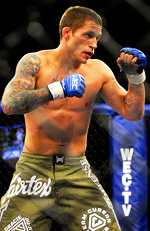 Jeff is now a top contender in the WEC featherweight division. Shonie Carter was one of the featured fighters for the Ironheart Crown's inaugural event in 1999. He has competed for us several times, earning the Welterweight title and always adding personality, character, and flare to his arsenal of dangerous fighting techniques. Shonie continues to fight around the world for various organizations, including the UFC. 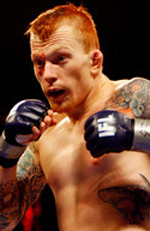 Brian Gassaway is the former Ironheart Crown middleweight champion. He continues to fight internationally and is a proven thread to the middleweight division. 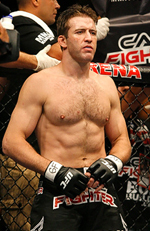 Stephan Bonnar made his name in our ring prior to gaining fame in the Ultimate Fighter reality TV series. In 2004 he was scheduled to headline on an Ironheart Crown card in a match against Bobby Southworth. Ironically, both fighters got the call from the UFC and they ended up fighting eachother on the reality show instead. Bonnar's final bout that season was dubbed "the most exciting fight in UFC History." After making his mark in the Ironheart Crown, Bart Palaszewski went on to fight for the International Fight League, earning honors as the League's MVP in his first year out. He was also awarded with the "Knock Out of the Year" award in the same season. Despite the collapse of the IFL, Bart continues to fight internationally in the big shows. 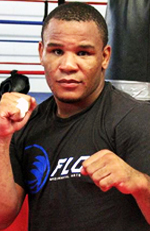 Terry Martin was a devastating force in the light heavyweight division of the Ironheart Crown. Very few could withstand his heavy hands. Those hands have since taken him beyond Ironheart to the UFC where he is now fighting in the middleweight division. Before moving on to Hollywood and starring in the History Channel's documentary entitled "Human Weapon," Jason Chambers fought the toughest fight of his MMA career on an Ironheart Crown show. While focusing on his acting right now, Chambers will always be a mixed martial artist at heart. Thiago Alves fought for the Ironheart Crown early in his career. After an incredible performance in his IHC debut, there were plans to bring him back as a regular feature. However talent like this does not go unnoticed and very soon after fighting for us, he was signed with the UFC. Now one of the top contenders in the welterweight division, it appears that Thiago is working his way towards an ineveitable shot at the title. As one of the most exciting fighters ever featured in the Ironheart Crown, we wish him luck. 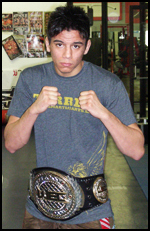 A veteran of the Ironheart Crown, JZ was at one time the Pan-American Shooto Lightweight Champion. He has since gone on to become the K1 Hero's Lightweight Champion and is widely regarded as one of the greatest lightweight fighters in the world. An unstoppable heavyweight juggernaut, Jeff Monson is currently a free agent fighting in major events all over the world. After fighting in the Ironheart Crown, Monson's career exploded taking him all the way to a shot at the UFC heavyweight title.